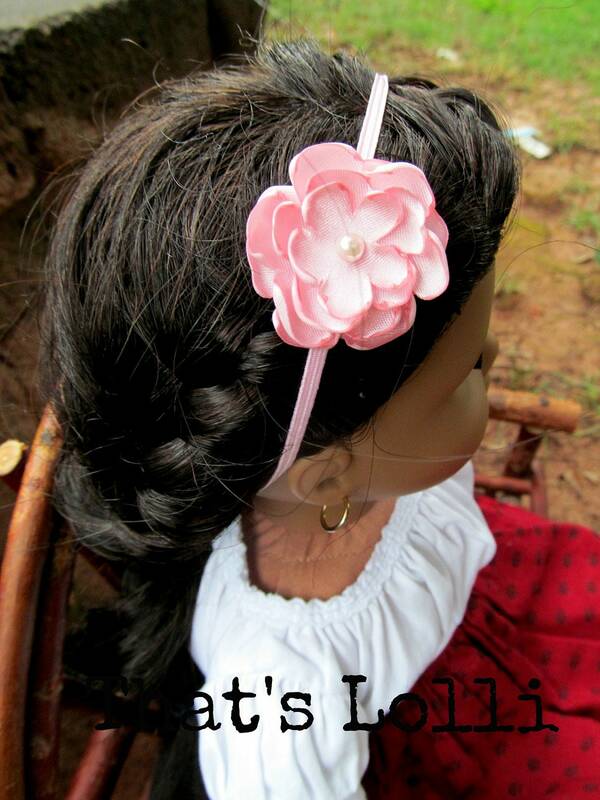 American Girl Doll Play: Doll Floral Headband Giveaway from the Etsy Shop That's Lolli! 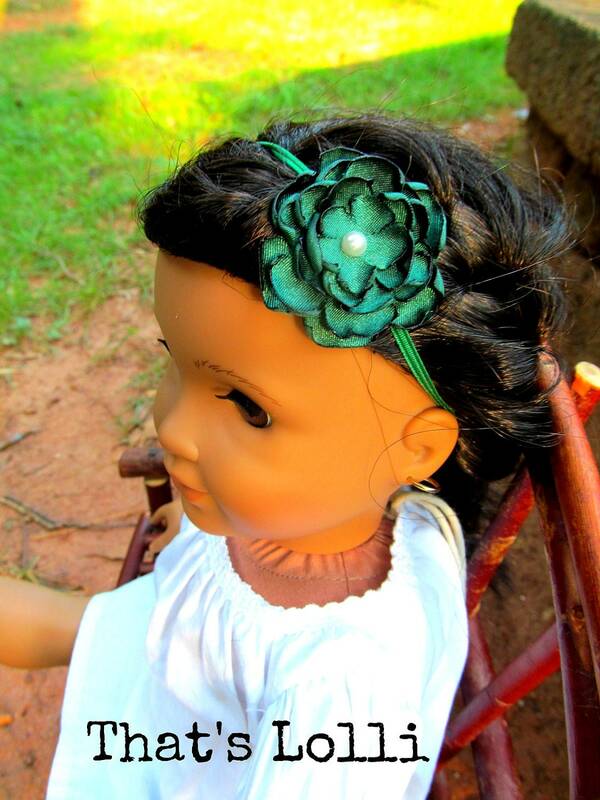 Doll Floral Headband Giveaway from the Etsy Shop That's Lolli! 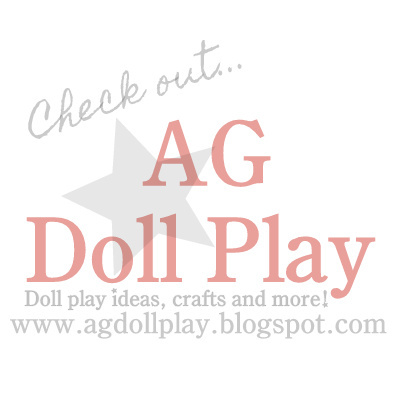 We are so excited to share with you another fun giveaway here on AG Doll Play. 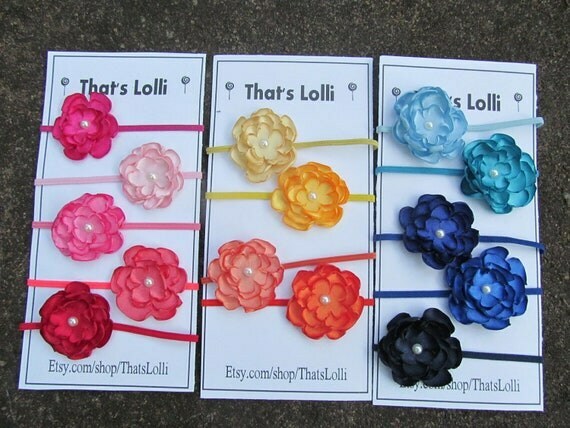 This one comes to you from the fun Etsy shop, That's Lolli. The owner, Wendy makes adorable little floral headbands for American Girl (and similar sized) dolls. She makes the standard headband type as well as a stretchy band (pictured below) version and offers them in a wide array of beautiful colors. Wendy, her husband and her three children live in Georgia. Wendy loves being a stay at home mom while her husband works towards getting his PhD. They are currently trying to arrange it so they can all move as a family to Lithuania which is where her husband will continue to work towards getting his PhD by doing research. Wendy started making flowers for fun when she had her first daughter three years ago and sales from her Etsy shop go towards their reaching their goal to make the move to Lithuania as a family. Wendy looks forward to being able to say that she helped her family make this happen by contributing to the purchase of their plane tickets. That's it! Pretty easy to be entered into the drawing. A random winner will be chosen from all those individuals that do the above and will be announced here on Saturday, February 23, 2013. Please note that this contest is open to US residents only...thank you for understanding. 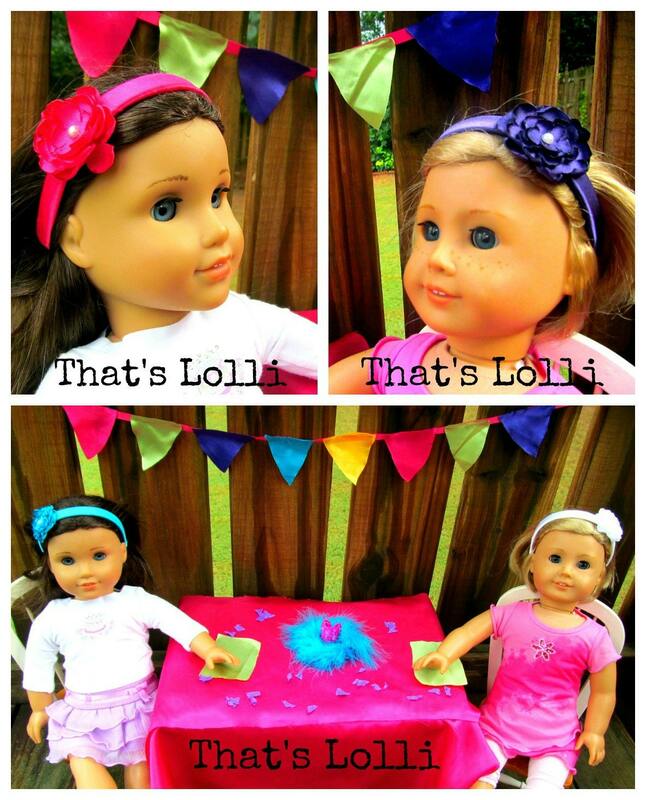 In addition to the giveaway, That's Lolli is giving fans of AG Doll Play 10% off a doll headband order! The coupon code for that is: Life10 Such a great deal!! Stay tuned too for AG Doll Play's review of the American Girl doll sized headband that we picked out...we chose the baby pink headband that's on the stretchy band. Thank you so much That's Lolli for sharing this giveaway with us and for extending these awesome specials our way here at AG Doll Play! Probably the lilac or seagreen doll headbands are my favorite. Thank you for the giveaway, and congratulations on being a spotlight site on Doll Diaries! Gaby, if you don't have a Facebook account that is fine, we will count a comment here as an entry! Love red!! Thanks for entering Mikaela! What if i dont have facebook? Amanda, leave a comment here and we will count that as your entry! Thanks! My favorite headband is the peach headband! I am in USA and have done everything you've asked except the blog post. Thanks! Wonderful, thanks Flower Murray! The peach is very lovely isn't it? Yes it's beautiful! I adore your blog and your daughter is the cutest! Flower Murray, you are our winner! Please email me your contact info so we can get a headband sent out to you! Thanks for entering and congratulations! Thanks for your entry Laura, good luck! PS WHEN ARE YOU GOING TO ANNOUNCE THE WINNER? Gaby, we will choose a winner this Saturday! Thanks for entering! We agree Hanna, thanks for entering and good luck!